Founded in 1981, and then known as Industrial Wear Parts (Pty) Ltd, this small foundry with a 185 kg Pillar Induction Furnace originally started manufacturing components for the Shot Blasting Industry in a garage situated in Balfour Ave Industrial Site, Benoni. Through the years this foundry has gone through good times and bad, grown and expanded beyond all expectation, and had many of the industries very colourful characters involved in its history in one way or another. The company may look and feel very different today to what it did in 1981, but one common thread has endured throughout its journey and regardless of who has been at the helm of this proud company, and that is its absolute passion and focus on our people and our customers, for without either of these we are nothing. We have travelled a long road with many of our loyal customers. We have gained new customers along the way and very happily some old customers, who left us for a while, are now back with us and stronger than ever. We will never take these relationships for granted and will work obsessively every day to ensure that our customers truly see us as more than just a supplier, but rather consider us a true strategic partner who constantly work at widening the gap between ourselves and our competitors, because it is only in this gap in our customers eyes, that we achieve our goal of standing out from the rest. 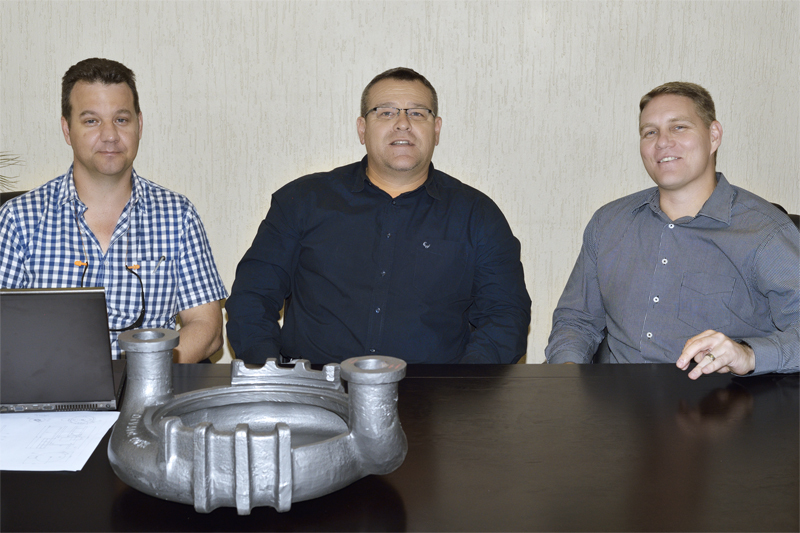 Hi Alloy Castings has recently entered the next and most exciting phase of its journey which has once again seen us becoming a force to be reckoned with in the South African foundry Industry.